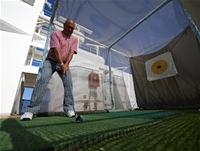 The Sun Deck features golf nets and an extensive area to sun bathe. 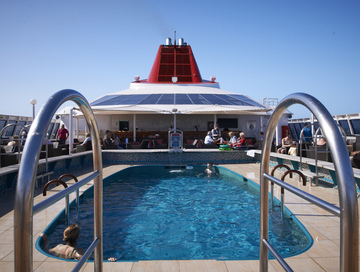 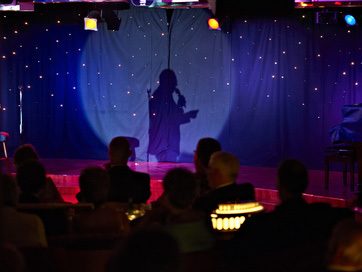 The Marquee Deck features staterooms in categories SS, PS, and MS as well as the Observatory, the Marquee Bar and the Marquee Pool area. 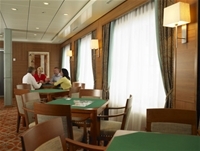 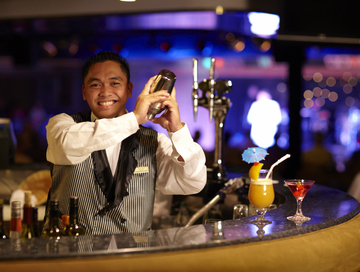 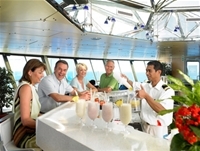 The Bridge Deck features staterooms in categories BS, BC, SS, JB, J, and K.
The Lido Deck features staterooms in categories DS, JS, A, and B as well as the internet centre, library, card room, game room, Lido Lounge and the outdoor promenade. 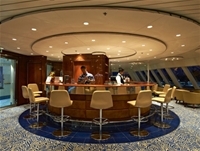 The Lounge Deck features the Four Season Restaurant, Tintagel Restaurant, the Heligan Room, the Secret Garden Cafe, lounge and bar, Iceni Room, Neptune bar, the Lounge Deck Pool area with a swimming pool, exercise pool and hot tub and the poolside buffet. 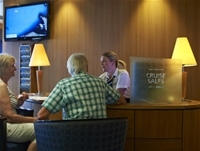 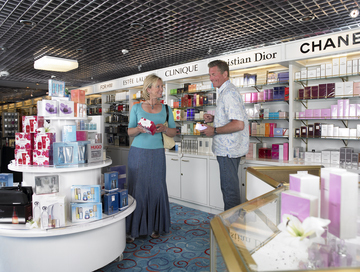 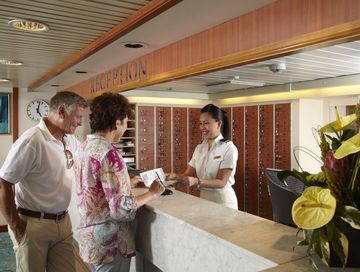 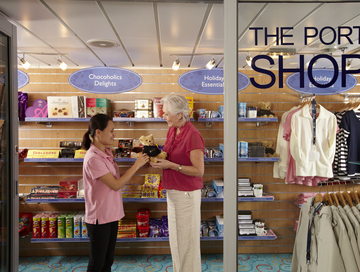 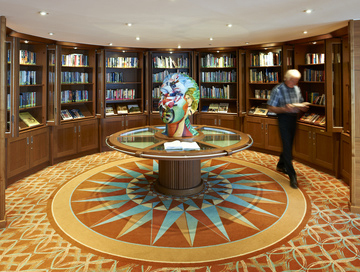 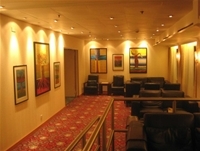 The Main Deck features staterooms in categories DS, JS, B, C, L and N as well as the reception area, shops, photo gallery, shore tour office, meeting rooms and a launderette. 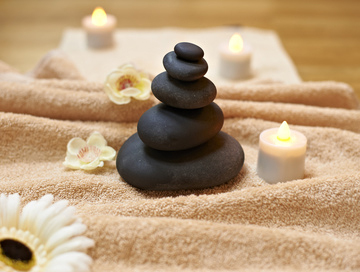 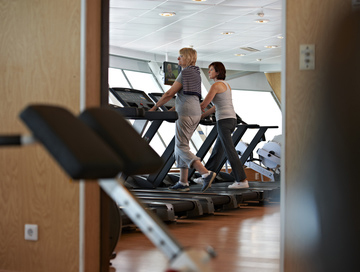 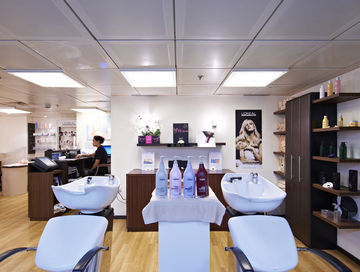 The Atlantic Deck features staterooms in categories E, D, H, L, M and N as well as the beauty salon, fitness centre, sauna and steam rooms and crafts room. 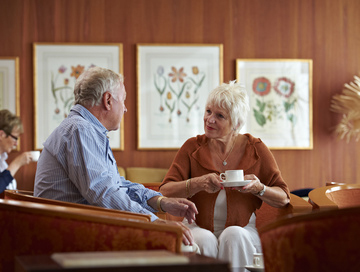 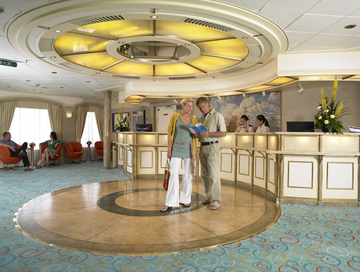 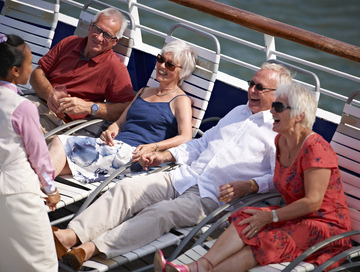 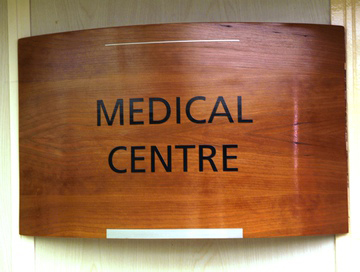 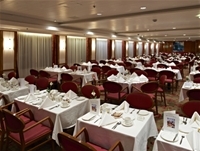 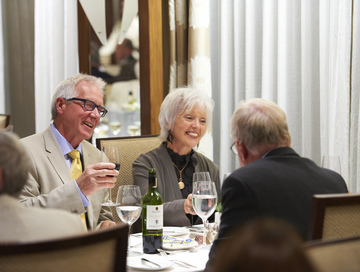 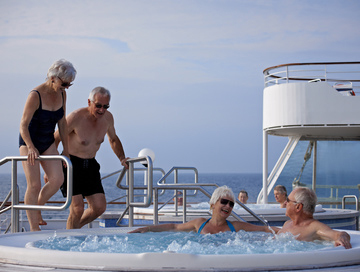 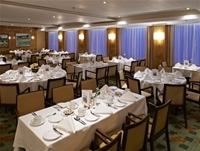 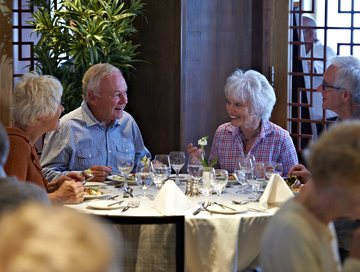 The Marina Deck features staterooms in categories E, F and I as well as the medical centre.